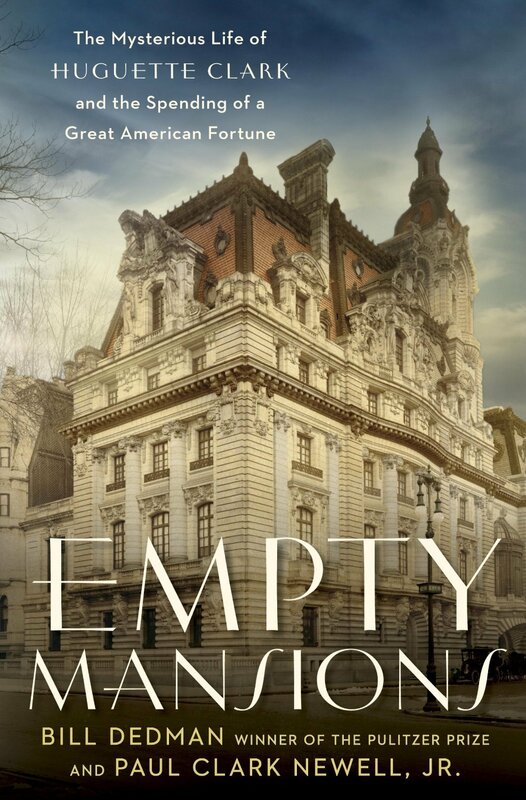 REVIEW: EMPTY MANSIONS by Bill Dedman and Paul Clark Newell, Jr.
Bill Dedman has uncovered one of the strangest true stories in the history of American royalty. There were the Vanderbilts, the Stuyvesants, the Rockefellers and then the Clarks. That they are not a household name today is part of the mystery that Dedman seeks to unravel. William A Clark’s story is a quintessential boot-strap tale. During the Civil War, he struck out west to seek his fortune in gold mining. He had little luck in that endeavour but he managed to make significant strides as a lumberman and a dry goods salesman. He eventually owned an enormous copper mine and smelting factory in Butte, Montana (now a superfund site). By the time he died, he was one of the richest people in America – ever. Huguette Clark was the youngest of his children. She and her older sister Amelia were born to W. A.’s second wife. Both were born abroad and spent much of their childhood traveling. 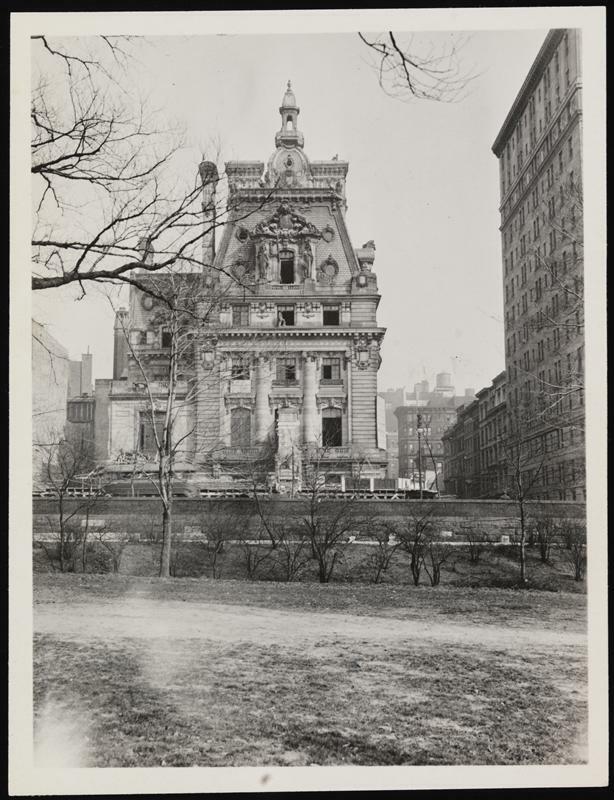 The Clarks eventually built an incredibly large and ornate mansion on New York City’s Fifth Avenue, overlooking Central Park. To the outside observer (and even to herself at most times), Huguette lived a charmed life. She and her sister rattled around the massive house on 5th Avenue, bounced across the Atlantic, and were in every way privileged growing up. Her life was carefree until her sister died at just 17 from a case of meningitis. Just a few years later, her beloved father died. Suddenly, it was just Huguette and her mother. And one of the biggest fortunes ever amassed. Huguette went through the steps of being a debutante and endured a short-lived marriage before beginning her trek to becoming a recluse. The final nail on the front door, so to speak, was the death of her mother. Once Huguette was essentially alone, the truly dissociative behavior started. Holed up in her Manhattan apartment, Huguette began spending from her bottomless pocketbook. She spent tens of thousands a month on a Santa Barbara mansion that she didn’t visit for decades. She bought priceless works of art. She commissioned intricate dollhouses from artisans around the world. Yet for all this bizarre behavior, she always remembered the names of her distant nieces and nephews, she was polite, if firm, in her strange requests and she paid her staff and others incredibly well. She knew when her gardener’s children were headed to college and never failed to send Christmas gifts and sizable donations towards their education. So why would this otherwise friendly person (who lived to 104), who owned numerous mansions, choose to live the last twenty years of her life in a dull hospital room? Empty Mansions attempts to solve this mystery by sorting through the shreds of information he can piece together. Most of the book is written by Dedman but there are sidenotes and quotes from Paul Clark Newell, Jr., Huguette’s cousin. He recounts phone conversations he had with his elderly relative and generally helps Dedman speak to those closest to Huguette. This story is so odd it seems like it must be a Victorian sensational novel. You have to keep reminding yourself not only that it’s real, but that it just happened a couple of years ago. Many thanks to Random House for allowing me to read and review this via NetGalley.